Overwatch League’s first stage had some big moments, but it felt like everybody was still trying to find their footing. With the big OWL slumbering in a mighty oak somewhere until February 21, teams are fine-tuning their rosters. It’s been a day of trades and free-agent signings, the former of which are among the first in Overwatch League history. On the trade side of things, Dallas Fuel owner Mike Rufail says that his team is working to acquire DPS player Kim “Rascal” Dong-jun from stage one winners London Spitfire. Rascal didn’t see much action during stage one, but while he was with Korean team KongDoo Panthera, he flashed some serious talent. ESPN reports that the LA Gladiators are also angling to make a transfer happen—again sitting across the table from the third-place Spitfire—to pick up tank player Chan-hyung “Fissure” Baek. 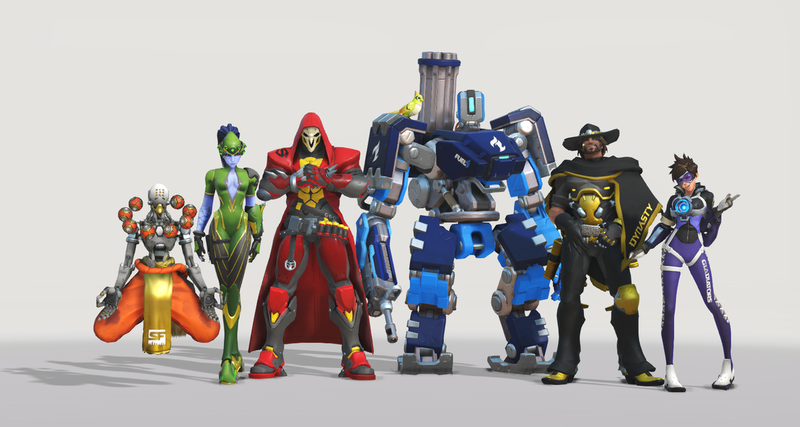 Teams have also begun to confirm that they’ve acquired players from outside the Overwatch League, with Dallas Fuel picking up DPS player Dylan “aKm” Bignet (who used to play for a French team called Rogue) while Florida Mayhem announced that they’ve picked up Ha “Sayaplayer” Jung Woo and Kim “aWesomeGuy” Sung Hoon, both of whom used to play for notoriously creative Korean team Meta Athena. Mayhem also signed a deal with Meta Athena coach Hyun-jin “r2der” Choi. The stove might just be picking up heat, though, as rumors are starting to fly. And the Shanghai Dragons still haven’t confirmed the big Geguri signing—despite what T-Pain says.